The Kona Rove series has some decent all road bikes for an affordable price. With Shimano, SRAM, and Hayes componentry, these bikes are not too bad for commuters and leisurely adventuring. We would not recommend these bikes for serious riders or competition, but they are good for urban riding. Kona usually produces some ace road, cross country, and commuters at all price ranges. 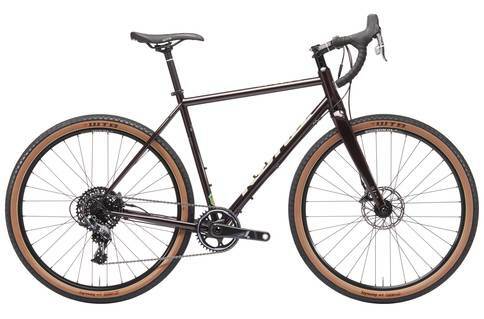 The Rove bikes are designed for all road purposes, commuting, and cyclocross. If you are a serious rider, though, these are not the best options, certainly not from Kona. We had some high expectations for these bikes, but when we took them out for a spin, we realized they left a little to be desired. Now, granted there are some good components and construction for these bikes. Kona’s 6061 butted aluminum and Chromoly butted frames are mostly lightweight, but the overall weight of these bikes is just not optimal for cyclocross. While the Rove cycles take on pavement and gravel without much trouble, the tires are not as dirt-oriented as we would have liked, rolling just a bit on the ride. These bikes are great for the commute especially for the rack and fender mounts available. The shifters on the AL models are not as good as the price tag would have you believe. A sturdy and reliable bike that is best oriented to commuting and leisure riding, but not really geared for competing or serious riders. The Kona Rove has mostly decent specs, but given the price and the competing models that are designed for all-road purposes, we might not recommend these for anything other than hobbyists and urban riding.